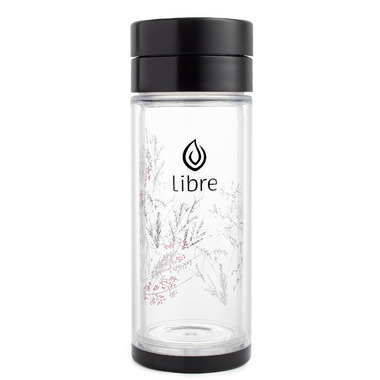 A quick 'on the go' matcha shaker solution - no more whisk and bowl with the durable glass interior with a borosilicate glass interior, protected by a durable BPA free poly exterior, includes removable filter - keeps all beverages hot or cold and is easy to hold. Just add 1gram of matcha powder, hot or cold liquid of choice, shake, and go! Great with hot water, coconut, or almond milk! I am SO impressed with this matcha maker. I have tried others but they were made of plastic, weren't double-walled, and the matcha basket was midway (******** two plastic glasses together) making it difficult to clear when it got frothy from shaking. I love that I have the choice to make my matcha latte hot or cold with this one. I love that it's made of glass. The lid screws on very nicely, it feels like good quality, and it is nicely designed. This is the perfect accessory for any matcha lover!